The Pool of Siloam, where Jesus ordered a blind man to go to wash mud out of his eyes, lay undiscovered until 2004. 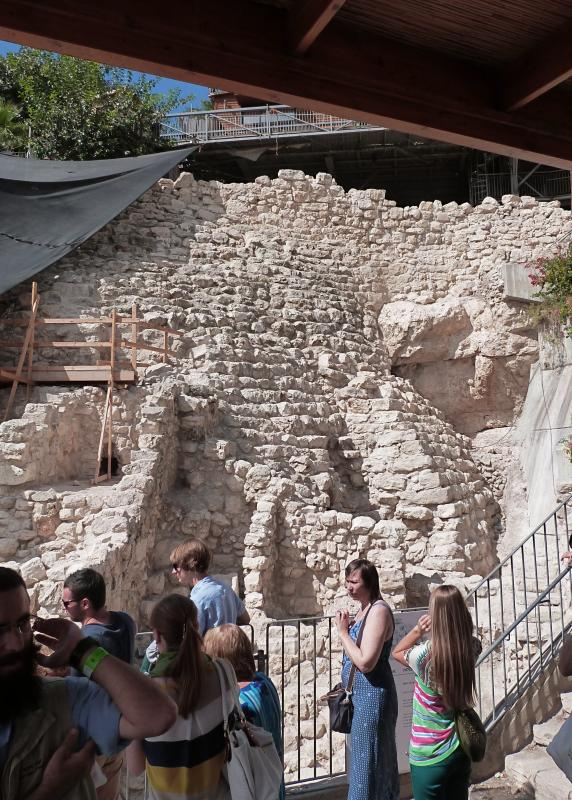 Then a drainage repair crew, working on pipe maintenance south of the Old City of Jerusalem, uncovered large stone steps that had led to an ancient pool dating from the first century BC. Until then, a much smaller pool 50 metres north-west, at the end of Hezekiah’s Tunnel, had been regarded as the Pool of Siloam. The account of the healing of the man who had been blind since birth (John 9:1-41) is one of the longest Gospel narratives of any of the miracles of Jesus. The disciples asked whose sin had caused the man’s blindness, his own or his parents? Neither, said Jesus; he was born blind “so that God’s works might be revealed in him”. Then Jesus spat on the ground, made mud with his saliva and spread the mud on the man’s eyes. “Go, wash in the Pool of Siloam,” he said. The man did as he was told, and he was able to see. The pool rediscovered in 2004 had been destroyed by the Roman conquerors around AD 70 and gradually covered by debris. 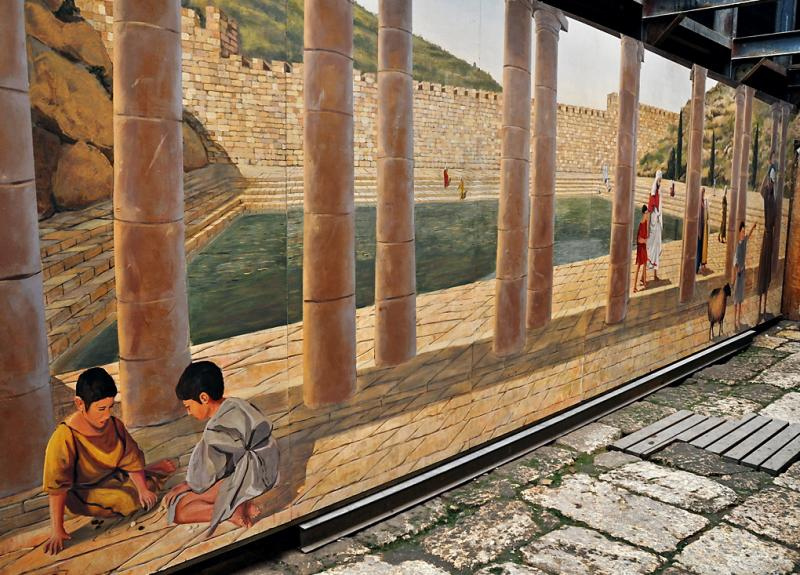 In the 5th century the smaller pool, further up the southern slope of the City of David, was remodelled, apparently by the Byzantine Empress Eudocia. A church named “Our Saviour, the Illuminator” was built over the pool. A 6th-century pilgrim described a “hanging basilica” over the pool, in which men and women washed separately in two marble basins “to gain a blessing”. The church was destroyed in 614 and never rebuilt. The pool was also abandoned. Bounded by high stone walls, it contains some scattered fragments of column drums from the church. This narrow, rectangular pool has long been visited as the site of Jesus’ miracle. 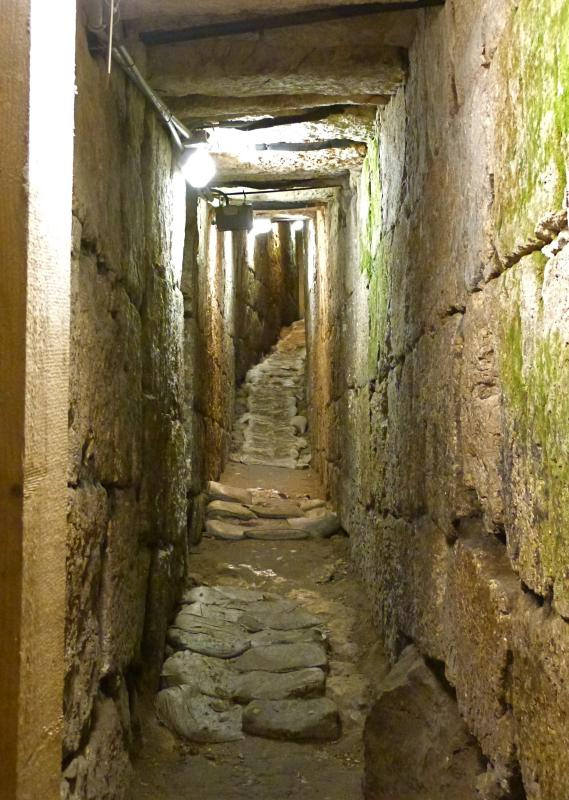 It is also the place where walkers through Hezekiah’s Tunnel emerge. 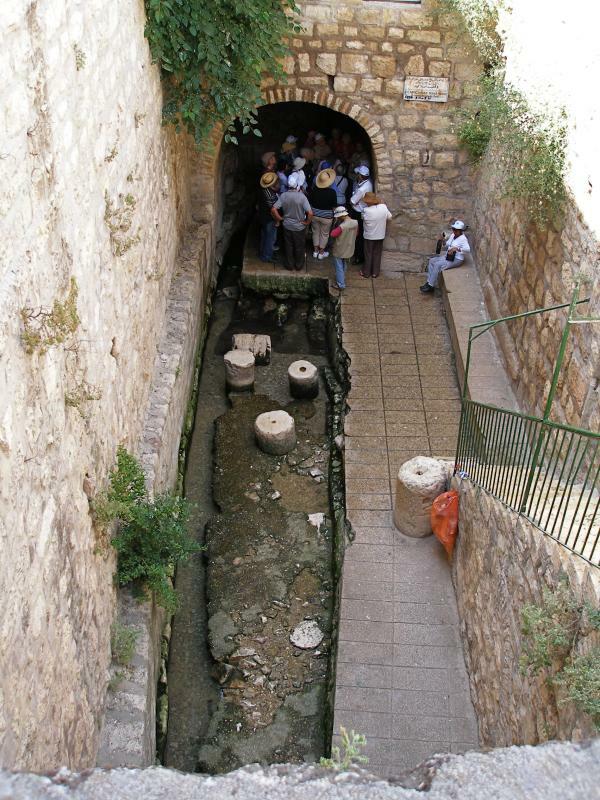 The rediscovered pool, which archaeologists began to excavate in 2004, was also fed by water from Hezekiah’s Tunnel, through a channel leading from the smaller pool. Coins found in the cement show it was in use in Jesus’ time, when four sets of monumental steps led from street level into the pool. One side of the pool is buried under a lush garden with figs, pomegranates, cabbages and other fruits. This property, now belonging to the Greek Orthodox Church, was once part of an orchard known as the King’s Garden. 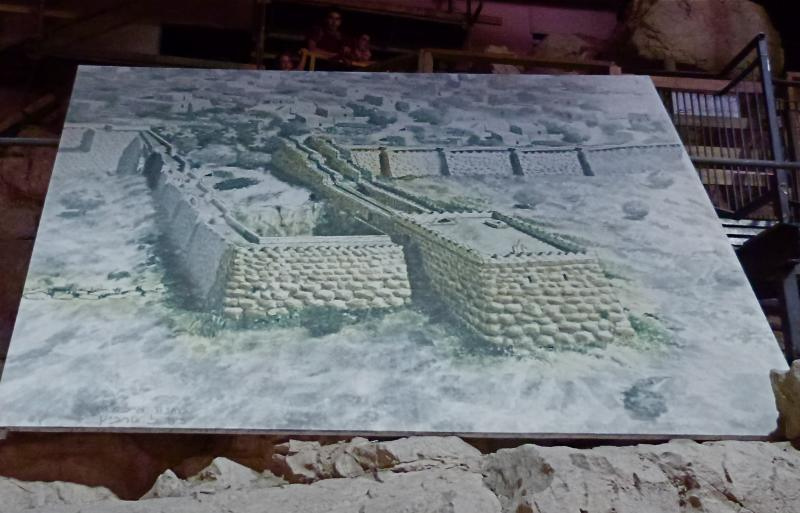 The building of a wall around the pool and the garden is recorded in Nehemiah 3:15. 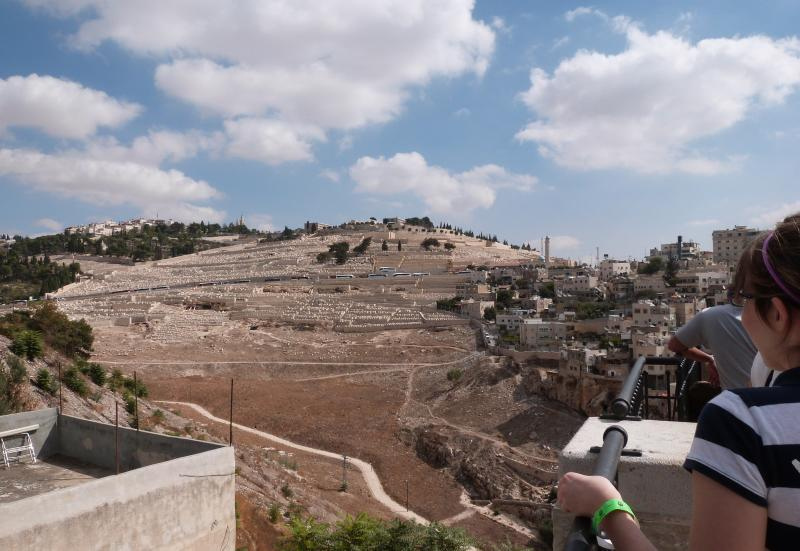 In times of war and siege, the City of David was vulnerable, since it depended on water from the Spring of Gihon. 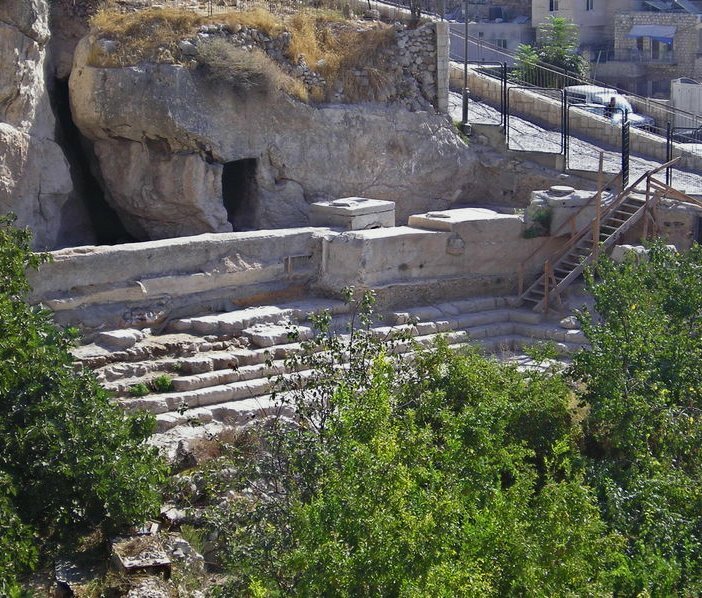 This spring, which gushes forth intermittently from a natural cave in the Kidron Valley, was outside the city walls. 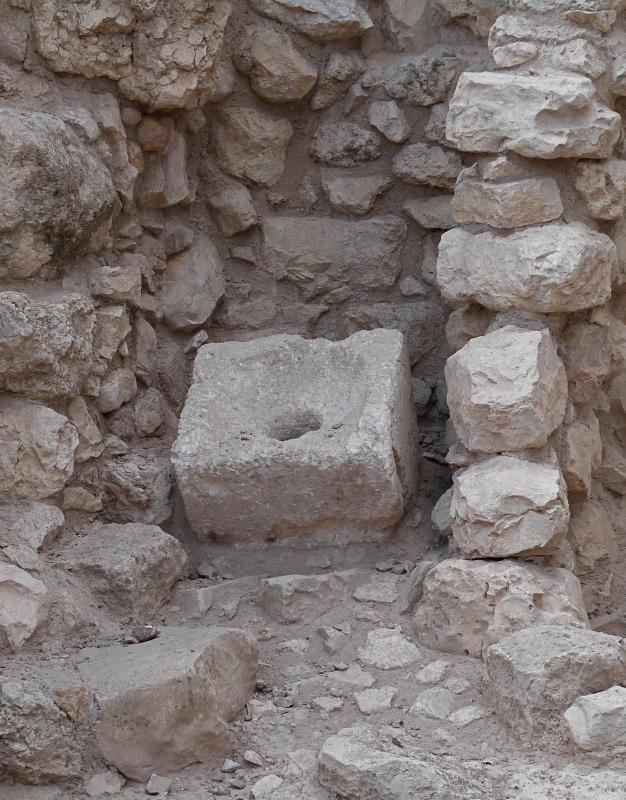 King Hezekiah decided to bring water from the spring into the city. Following part of a natural fissure, two sets of teams began at opposite ends to cut a winding 533-metre tunnel on a double-S course — and they met in the middle. Axe and chisel marks can be seen along the entire length of the tunnel, which averages 60 centimetres wide and 2 metres high. 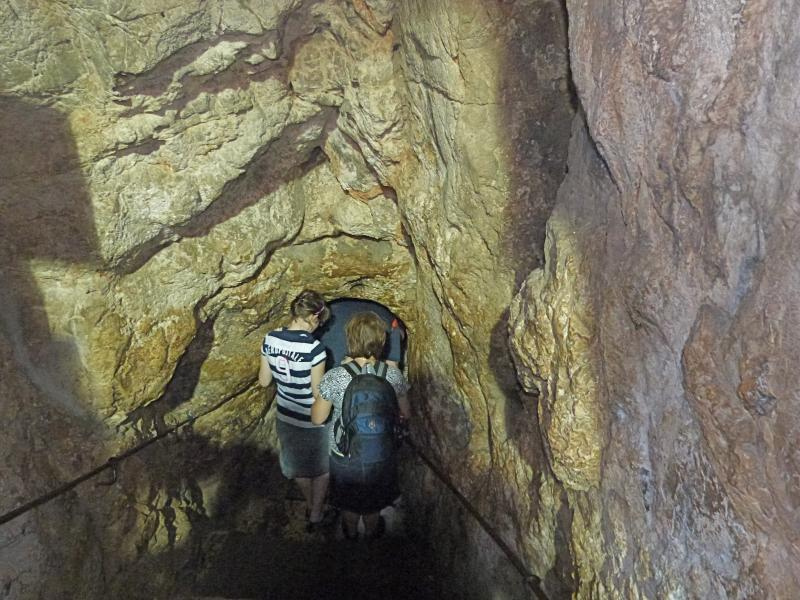 In 1880 a boy discovered an inscription in the rock near the mouth of the tunnel, which records its construction. 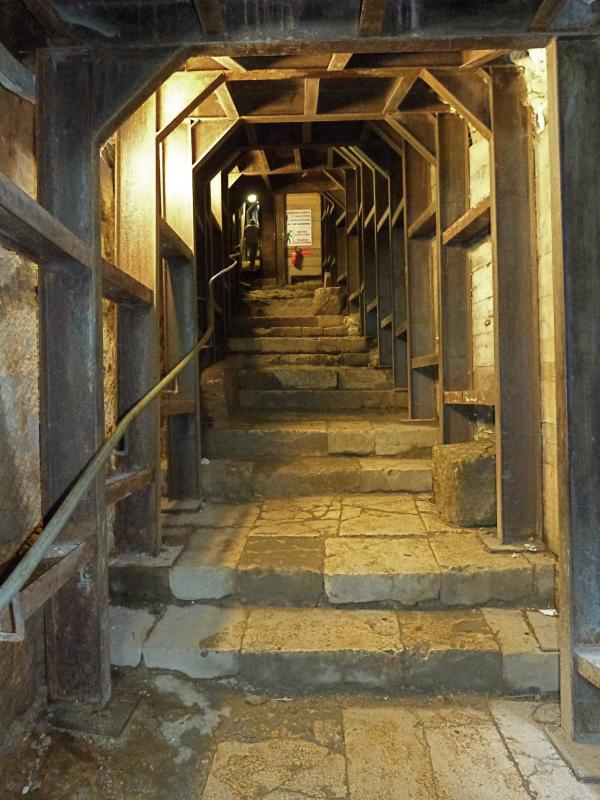 Hezekiah’s Tunnel may be traversed on foot, best starting from the Spring of Gihon, outside the Dung Gate. A reliable torch is necessary and footwear is advisable. Water is generally knee-high but can rise to waist height. 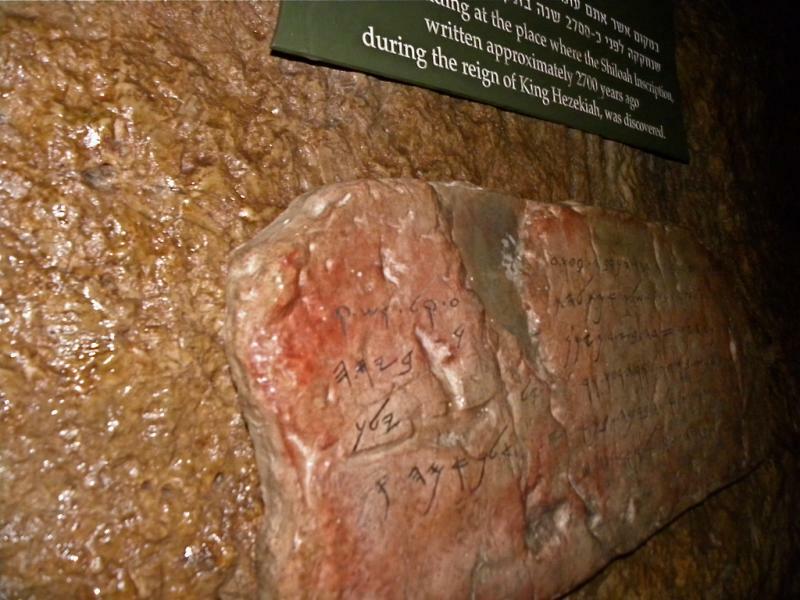 Maugh, Thomas H. II: “Biblical Pool Uncovered in Jerusalem”, Los Angeles Times, August 9, 2005.